Recently I was asked to contribute to an article about bees and art and it made me think about just how many bee related jewellery items we have at Little Bo's Boutique and looking though our current catalogue of products, we appear to have quite a few, with a few more arriving in the pipeline in the near future. Here is just a selection of the current and up and coming items available. 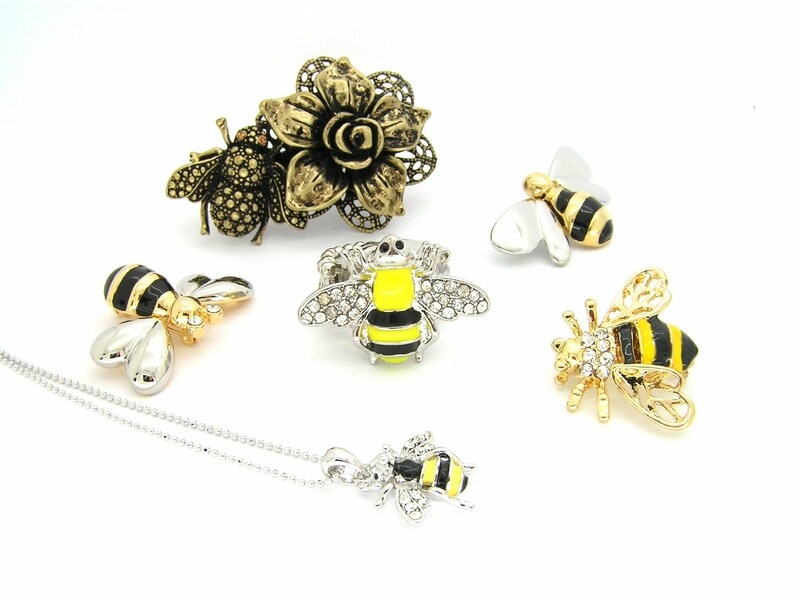 Starting clockwise, Bee and Flower Ring, Metal and Enamel Bee Brooch, Yellow and Black Honey Bee Brooch, Yellow and Black Honey Bee Charm Necklace, Bee Brooch with Movable Wings and in the centre, Yellow and Black Bee Cocktail Ring.